You are currently browsing the tag archive for the ‘Sylvia Kelso’ tag. The Time Seam continues and completes the story begun in The Solitaire Ghost. It will provide a satisfying conclusion for readers of the earlier novel, and although it may not make quite so much sense to new readers, should also be accessible to those who haven’t read part one. Dorian Wild is a successful solicitor, happy in her relationship and friendships, and with a nice stable future in front of her. Until in book one (The Solitaire Ghost) she gets in the elevator to go up to her office, and watches as a ghost walks out of the floor and places a miner’s panning dish on her head. Her future shatters. Soon the ghost is physically impinging on her time, and it becomes urgent to work out who he is and why Dorian has begun to see him. Friends believe her – in fact they’ve begun to see him too – but not all of them are able to help her. Her lover, for example, is distracted by the illegal antics of the megacorp that is taking over the gold mine he works at. It becomes clear that the two problems – the ghost and the megacorp – are intertwined, and Dorian faces heartbreak, mystery, and danger. It seems that Dorian must solve both problems or neither; and she won’t get any peace until she does find a solution. The Solitaire Ghost is something of a departure from Kelso’s earlier novels. Although this too is a fantasy, it is more or less contemporary, being set in 2012, and it is set in an Australia only fractionally different to ours rather than the more distinctly fantastical worlds she has previously favoured. She has maintained strong characterisation and interesting plotting, although she has adopted a more straightforward writing style. 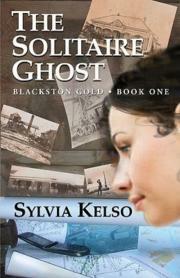 The Solitaire Ghost is volume one of Blackston Gold, with the story being completed in The Time Seam. The novel simply stops dead at a critical point; to get any sense of completion you will need to read volume two as well. Most readers will not find that a hardship, I think. Dorian Wild is a successful solicitor, happy in her relationship and friendships, and with a nice stable future in front of her. Then one day she gets in the elevator to go up to her office, and watches as a ghost walks out of the floor and places a miner’s panning dish on her head while he rebalances his load. Her future shatters. It’s bad enough when she’s seeing ghosts; once her friends and lover start seeing him as well, it becomes urgent to work out who he is and why Dorian has begun to see him. The urgency increases as he physically impinges on her time and Dorian suspects he is not a ghost, and is somehow connected to the megacorp which is driving her into heartbreak, mystery, and danger. 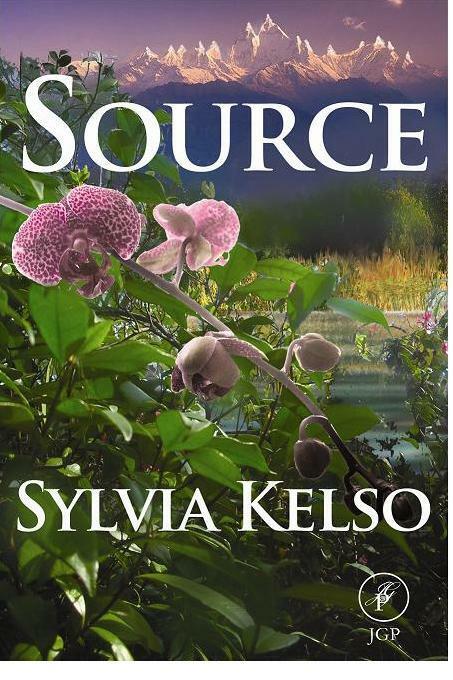 Source is the third in the Riverworld series, which began with Amberlight, and continued in Riversend. Although they are a series, each could be read alone. Of the three, Source would probably be the hardest for a reader to enjoy independently. It would be possible to follow the story, and there’s background given about the events of the earlier novels, but I suspect that much of the emotional impact would be lost and readers might struggle to feel involved with the characters. As Riversend closed, many in Iskarda, the village now home to Tellurith and her followers, share a dream of the River Source – the place the people of Amberlight came from. Source is the tale of the journey to find that place and perhaps recover the querrique. 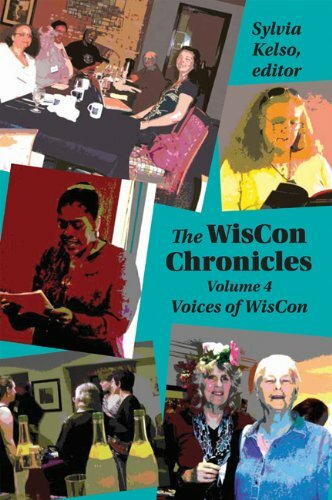 I was delighted to discover the existence of The Wiscon Chronicles a year or so ago, volumes which are intended to capture something of the vibe, spirit and content of the last several WisCons through selected articles, panel reports, interviews, blog entries and ephemera. I adored picking over the first three volumes and was beyond excited to see that my review of them had rated a blurb quote on the back of Volume 4. What I admire most about these Wiscon Chronicles is not just the collection of intelligent thought, and the best example of documenting the convention experience I have ever seen, but the acknowledgement of the bad parts as well as the good – the exposure of privilege, of negative as well as positive reactions to the discussions, and the willingness to shine a bright torch on all the grey areas, for the purpose of greater and more constructive conversation. Which I still think holds true. Another excitement was to see that this year’s editor of the TWC is Australia’s own Sylvia Kelso, whom I met for the first time recently. Sylvia herself talks in her introduction about the daunting challenge of trying to capture a convention she herself doesn’t get to every year (being Australian) and indeed an event that no two people experience similarly. The clever thing about these books is that instead of trying to represent the convention by being as generic as possible, they instead try to share the deeply specific and personal, from a wide variety of people.